Cattaneo Commercial have just secured the sale of Osbourne House, Lower Teddington Road, Hampton Wick KT1 4ER. 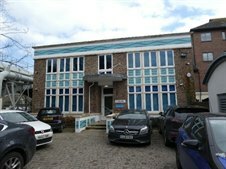 This unique self-contained office building comprises 4,747 sq ft with 11 car spaces and was part income producing. We still have other freehold opportunities nearby. For further information, contact Andy Armiger on 020 8546 2166.